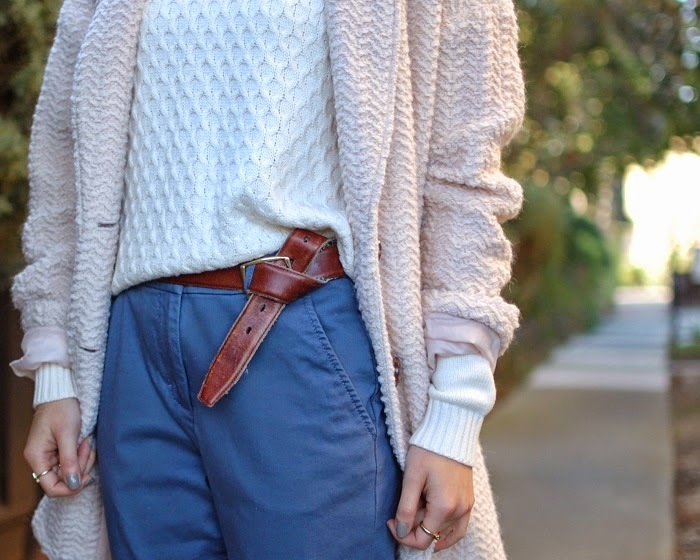 This belt trick always seems to work for me. love the cardigan and the sweater, and love these rose gold heels to! nice! I really love this look! The metallic shoes really make this look pop! I love your entire outfit, but I'm crazy for the heels!